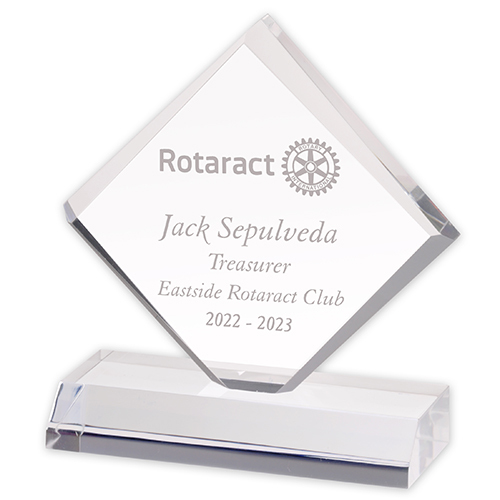 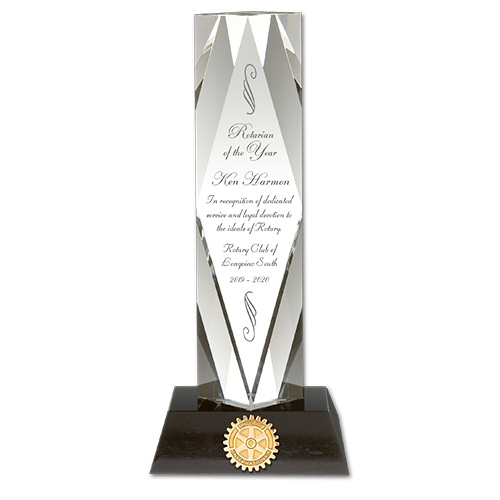 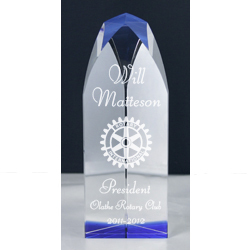 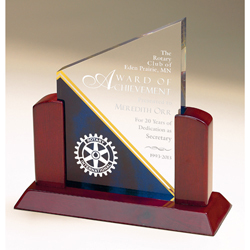 Jade Glass Award - 6"
Jade glass award with glass base. 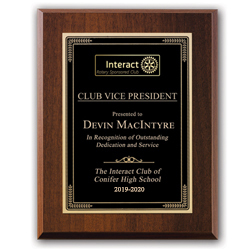 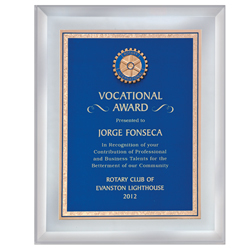 Mirror reflects the beauty of this plaque, which includes a blue plate with Gold Florentine edging. 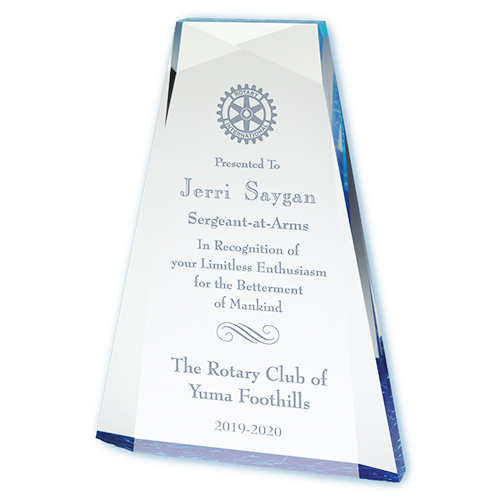 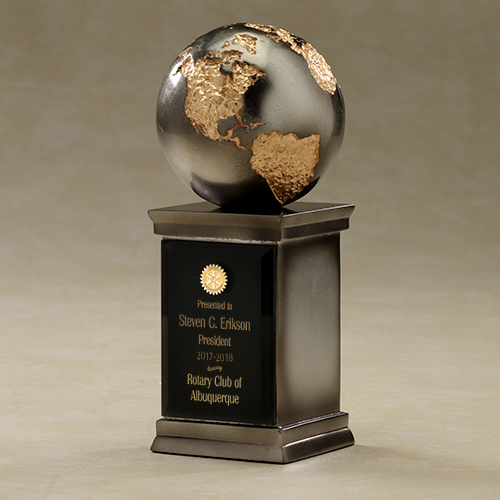 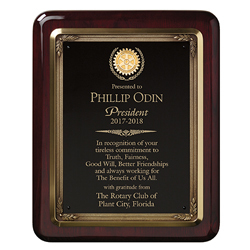 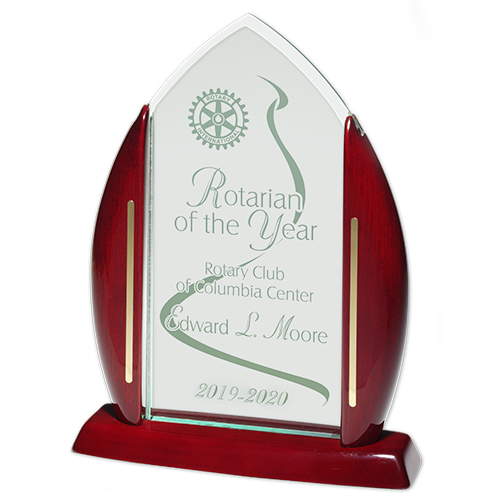 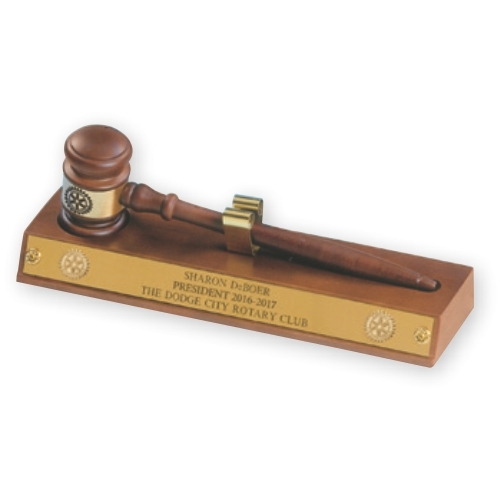 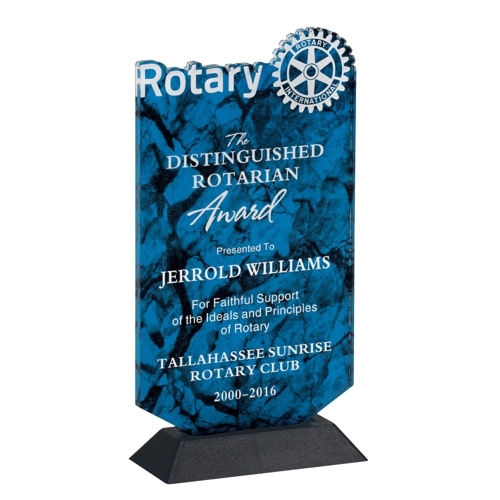 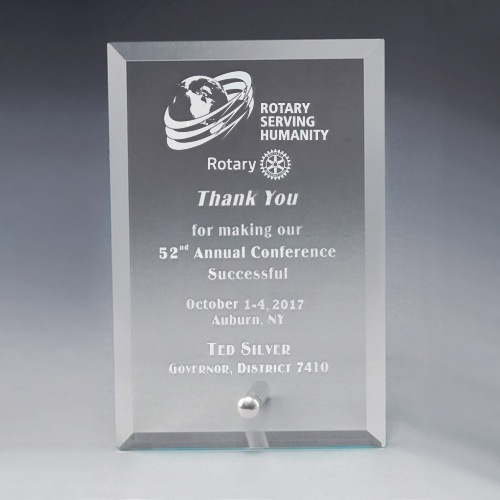 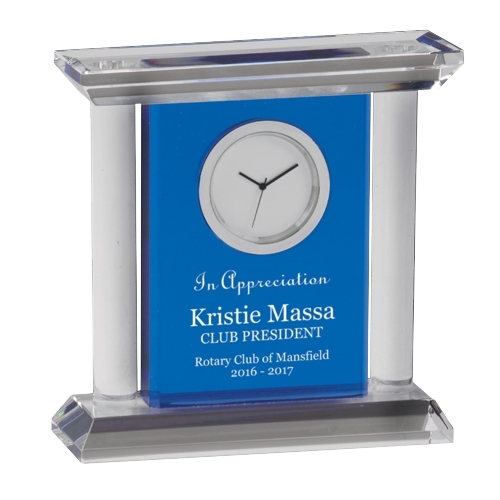 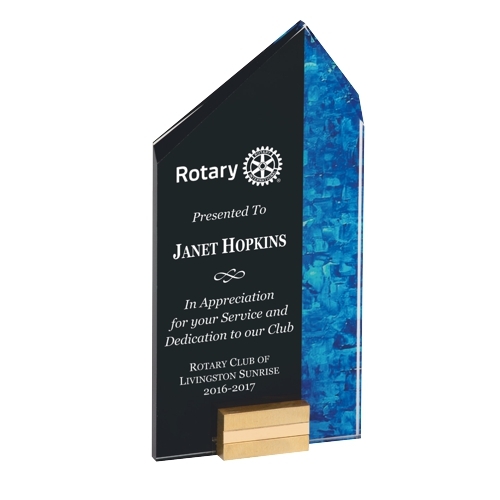 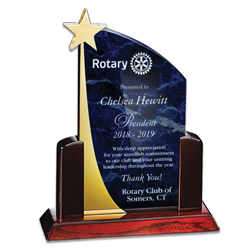 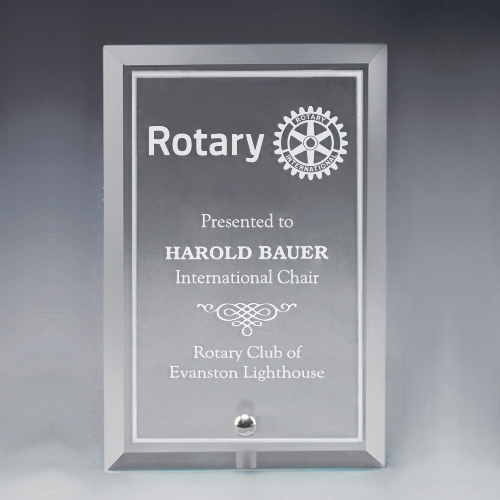 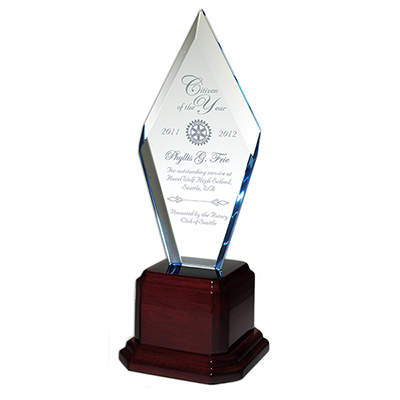 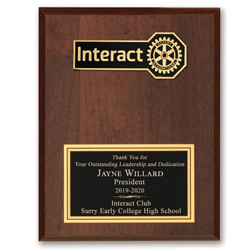 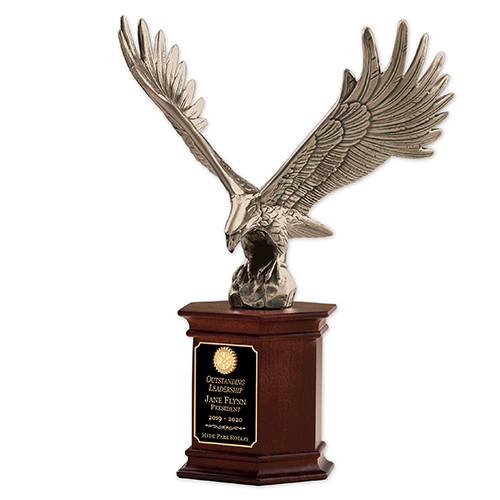 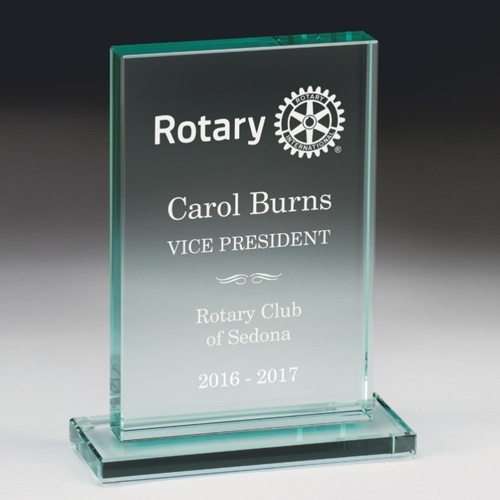 Elegant Award Combines Flame Jade Acrylic, Rosewood with Piano-Finish & Gold Metal Accents for a Presentation That Will Not Be Soon Forgotten. 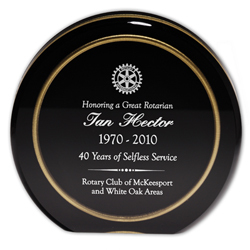 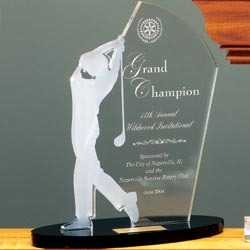 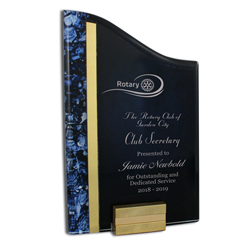 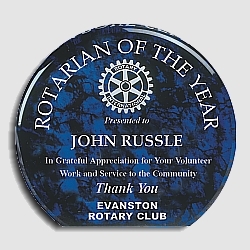 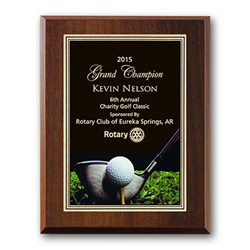 7-1/2" x 9-5/8"
Frosted and clear acrylic on a black base to recognize achievement on the golf course. 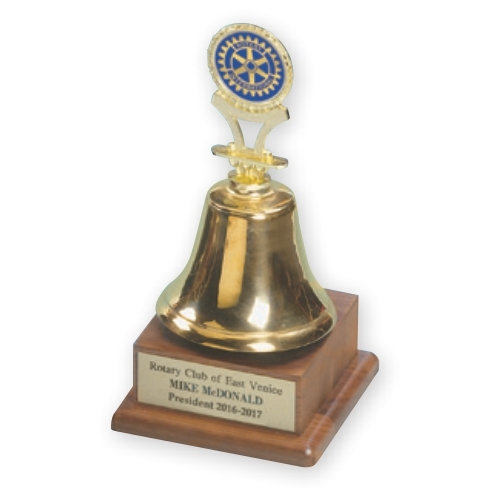 11" tall. 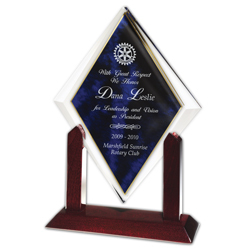 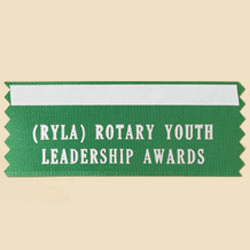 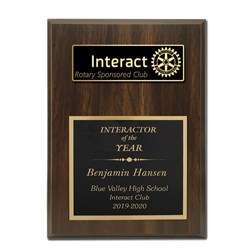 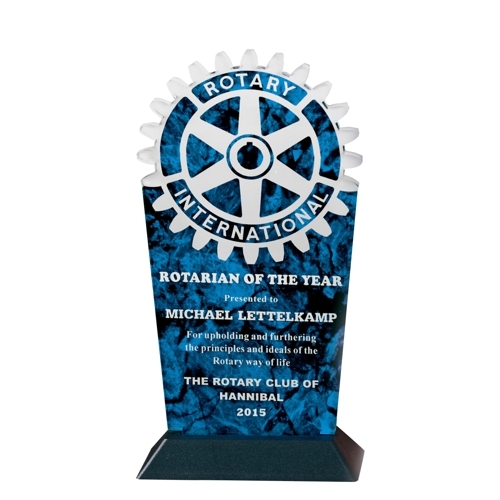 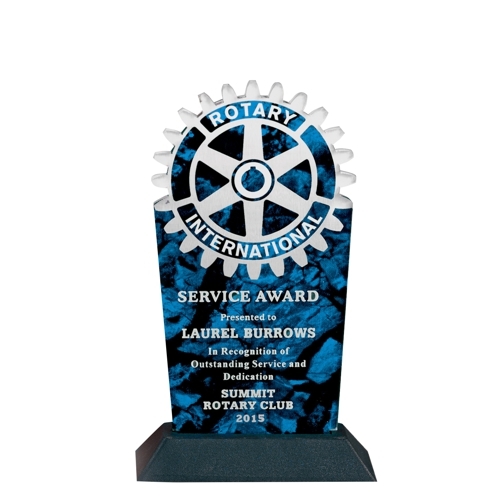 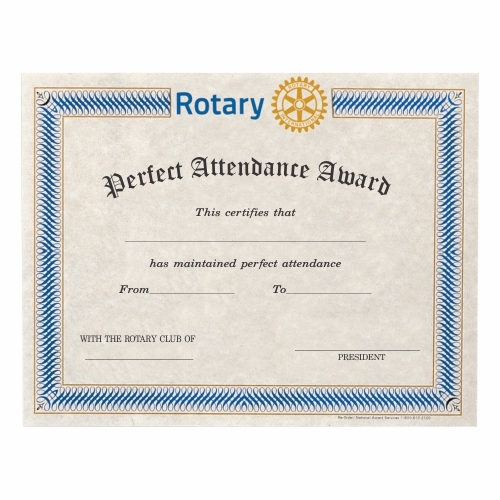 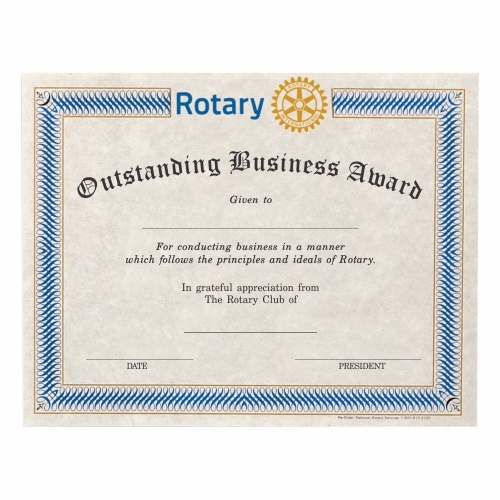 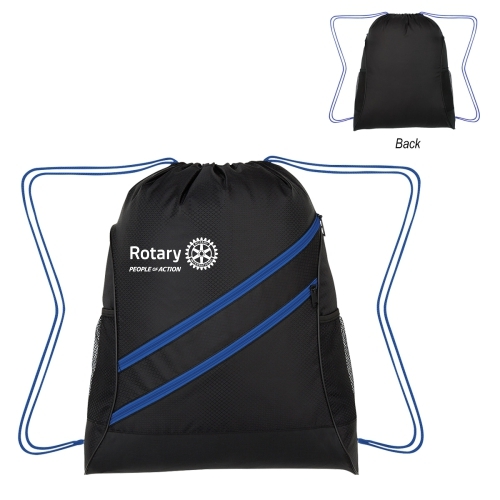 A blue reflective bottom shines through this stand alone award. 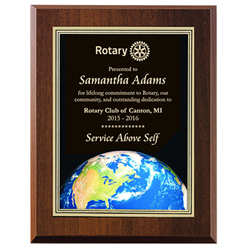 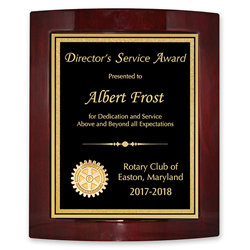 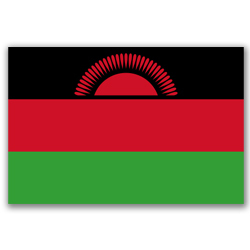 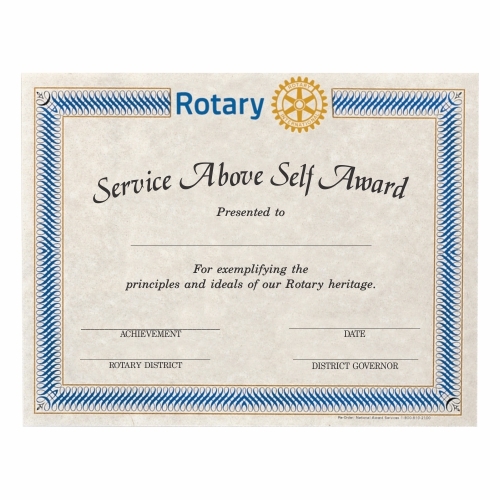 6-3/4" x 9" x 1-1/4"
8-1/2" x 10" Rosewood Eclipse Plaque w/ Black Brass Plate.